7. Making a big ticket purchase- If you have been planning to buy that nice luxury car, condo, 50 inch LCD TV etc, put it off and save the money instead. Cash is king in a recession. 6. Resign from your job- If your bosses' armpits stinks and you decide that you cannot stand it anymore, please do not resign without securing another job. Your job which pays you an income is the best thing to tide you over the looming recession. 5. Go to casino to bet- You decide that since you cannot make it with the pool of money you have now, you should go and double it by betting it all on one big bet. Don't. You're more likely to lose everything. The odds are stacked in the house's favour. 4. 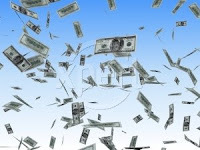 Jump off the tallest building you can find- You have lost all your money plus your relatives' and your family's money. Don't be a chicken. If you do that, they will all have to jump with you. Be a real man/or woman and pay off that debt. 3. Keep all your money in one bank- Where have you been the past few weeks? Mars? Diversify your money holdings to at least 2 banks. Preferably one local and one international, at the same time, keep some money at home. Even though a lot of governments are guaranteeing the money deposited in the banks, it is better to be diversified and not lose all 100%. Also the government may take a while to pay back the deposit you have if your bank really goes under. 2. Stop buying stocks- When the world's most extraordinary investor, Warren Buffet, is placing billions to buy companies he thinks is undervalued, it means that there are now companies whose valuation is cheap. When everyone is selling, the real investors comes out. Buying stocks is not for the faint hearted, steel yourself and start reading and analyzing which are the companies you want to buy and own a bit of. This company should be one that if the authorities decide to suddenly halt the stock market operations for 5 years so that no one will know the price of a company at any one time, you know that it will still be operating 5 years later. In the long term, everyone dies, but in the long term the stock of a strong company will be up. The Motley Fool has some ideas where to look. 1. Sell your stocks- If you haven't already sold off your stock, now is not the time to sell it when the market is probably trading around the bottom or there isn't much to go. It has already gone down to 20% just in about 2 weeks in October. If you do, you'd probably swear off investment which is probably worse than selling your stock now. Switch off the tv, ignore the financial pages and websites that tell you the indicies and share prices. Pretend you have a serious case of ear wax when someone tells you how bad your stock is selling now. As long as your stocks are in companies that will be able to tide out the recession, this is not the time to liquidate your investment. If it isn't only sell those you are not confident of. Stay calm, collected and cool and you will be fine.